Alcohol producers in Poland still advertise mostly on TV, but the Internet is increasingly encouraging them to spend advertising budgets on Google Ads or social media. Also, thanks to advertising targeting, on the Internet it is easier to stick to restrictive regulations. Due to immense competition in the industry, alcohol brands have a very high bar set. We have looked at the most interesting and most creative alcohol brands in Polish digital marketing. 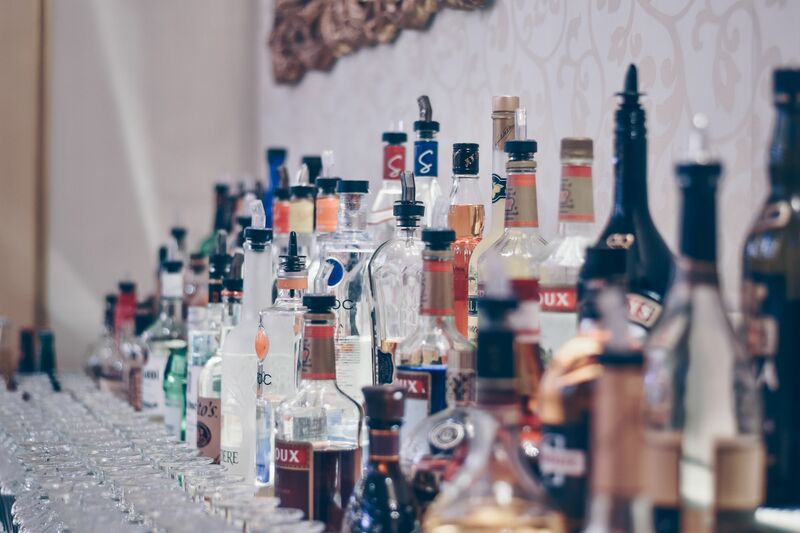 Armed with huge advertising budgets, alcohol brands are increasingly focusing on integrated digital campaigns and strong social media communication. 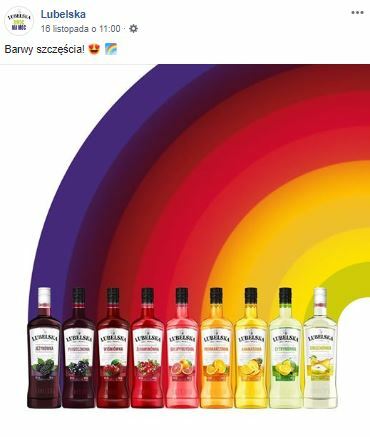 The reason for this is that social media in Poland eludes the definition of “public dissemination” of alcohol trademarks, which is prohibited by the law on ‘upbringing in sobriety’. The fanpage of a beer or vodka can only be liked by a person who purposely registers on the site. Ads are therefore directed to a specific group of people over 18 years of age. Consequently, people who are younger than the required age simply cannot see the alcohol ads. This allows a lot of creativity and freedom for creators of digital campaigns. 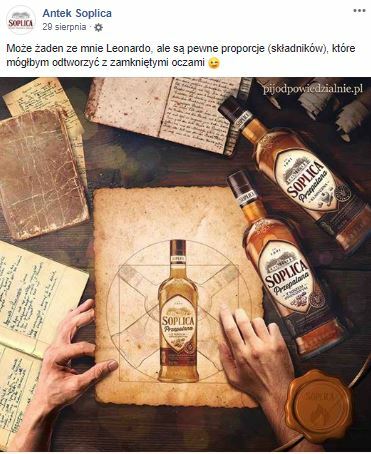 Here are 5 brands that are very good at digital marketing and advertising alcohol in Polish social media. Producer of one of the most popular beers in Poland. Żywiec stands out with their refined and transparent website. We can find lots of contests (such as, “The Hour of Masters”) or lotteries with rewards. 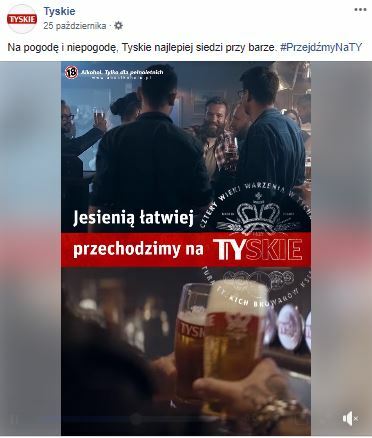 Żywiec also has the best profile of a beer brand on Polish Facebook. Aesthetic and minimalist design, simple graphics and very catchy copy often containing verbal games, are the key to their success. They are also good at Real-Time Marketing. They always comment on reality with an excellent sense of humour, no matter whether it is directed at holidays, sport, or even political events. Their keynote slogan says: “Chce się Ż” (“Ż” is the intentional abbreviation of the word “żyć” which means “to live”, and is also the first letter of the name of the brand). In translation, the slogan simply means that after one sip you just want to live more. None of their digital activities are accidental, as can be seen in the reactions of their fans. For us, this Polish vodka producer has the best Facebook profile of all hard liquor brands. They use one of the most famous Polish brand heroes – the Bear. There are lots of great, hand-drawn graphics with funny captions. There is also very little references to the alcohol itself. The hero of the content is just the Bear in different, funny situations. The Bear comments not only on actual events in Poland. Their Real-Time Marketing goes even beyond real life. Content refers to pop culture, famous memes and hits on the Internet. You can see that this way of communication is great, merely by the reactions of fans. Soplica is another Polish vodka producer. Interestingly, the name of the social media profile does not apply directly to the brand name – we should actually search for Antek Soplica. Antek Soplica is a fictional character, the hero of the brand. He is the author of all posts and, according to his posts – the producer of Soplica products. Antek zealously brags about new flavours, usually using up-coming holidays and seasons to promote products (such as, the plum flavour released for the start of winter). Antek also responds to all the comments on the brand’s Facebook profile. Consistency is the keyword. Another Polish beer producer. Their Facebook profile has over half a million fans, which makes it the largest from the entire list. 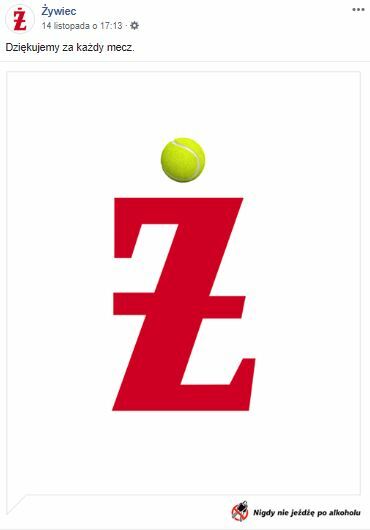 The brand is advertised under the slogan “Przejdźmy na Ty” (Where “Ty” part is the first part of the brand’s name). It is simply an invitation to be on first-name terms, to be more informal. This verbal game is used in every social media post but also in TV and outdoor campaigns. 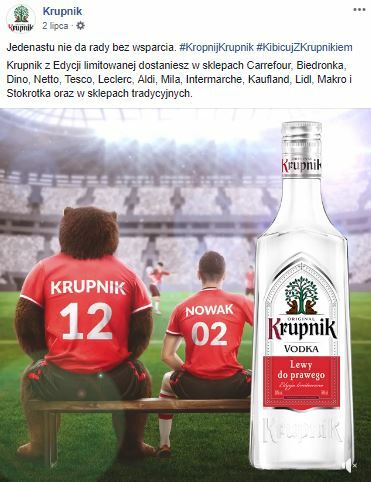 During the FIFA World Cup (which is very popular in Poland), Tyskie was a sponsor of the Polish National Football Team. During that period, there was a lot of content connected to football, and directed at football fans. This is a producer of flavoured liquor. Their Facebook profile uses, one hundred per cent, the potential of their product’s many flavours and label colours. They also prefer using colourful animations rather than static graphics. All videos are on a white background with coloured elements. The copy is usually one word or sentence. Their digital communication really stands out from other alcohol brands. Even the way of communicating with fans is really interesting. Referring to the sweet flavours of their vodka, the profile of Lubelska often calls their fans “sweetie”. If you need help to carry out a digital marketing or social media campaign for a Polish alcohol brand or just Polish clients, feel free to contact us. We know the Polish market perfectly, and we will be happy to create a creative advertising campaign that reflects the specificity of your product. How to create a successful Polish Christmas marketing campaign. Tips and examples.